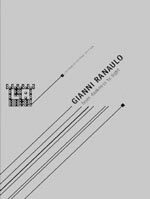 Gianni Ranaulo, Italian Architect and designer settled in Paris in 1989 after 10 years of successful practice in Italy. Since 1994, he has dedicated his research in new architectonic languages and started theorizing the LightArchitecture concepts, which is the synthesis of the virtual and the real world in reference to Mediabuilding. Between 1994 and 2002, Gianni Ranaulo opened new offices in London, Rome and Milan to materialize LightArchitecture concepts. While pursuing his research he diffused his theory along with numerous University conferences and TV shows ( TG1, RAI, Mediamente, Arte, TF1, etc….) 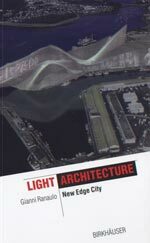 and published "LightArchitecture New Edge City" Birkauser-IT Revolution in english, Italian and chinese in 2001. The same year he became Caserta municipality architectural consultant. In spring 2004, he was teaching 'lighting design' master at Brera's academy (Milano) and inaugurates his Lightarchitecture conceptual exhibition in The Castle of Narni Umbria, publishing also his monography « From darkness to light ». In September he was invited to the first architecture Biennale in Beijing China. In 2005, Gianni Ranaulo designed the new VIP Room Champs-Elysees in Paris followed by the VIP Room Saint-Tropez and Cannes for the movie festivals. These steps in the glamorous nightlife brought him in USA to design other nightclubs in Miami (Mynt) and Las Vegas (RokVegas club). There, he met Franco Dragone, Founder and Director of the Cirque du Soleil and designed his Studios in Dubai, participated to the different architectural conception of his shows around the world. In 2007, Gianni Ranaulo opened his office in Dubai and worked on the construction of towers and several urban projects. In 2010, he completed the refurbishment of 1800m2 head office of the developer La Compagnie de Phalsbourg located in the famous place Vendome. For which he is developing more than 350 000m2 hospitality, offices and retail construction in France. Lightarchitecture is a model of synthesis between two worlds, often still considered to be incompatible: the real and the virtual. This fusion has now become necessary, as it has already entered our imagination. Light Architecture unifies virtual space with reality in order to maintain a unity of perception of the two worlds, thus creating a new single dimension: 'the stereo-reality.' This stereo-dimension takes place on an urban scale, it becomes the model for a new concept of architecture inside the city. In reuniting the real and virtual into one and making the citizen an active part of the structure, interactivity becomes the vital energy of the new system, opposing not only the canons of traditional architecture, but also those of the traditional media where the virtual space is much more important than the physical space. The actual evolution from the local to the global village occurs within the city: moving from the individual sphere of the private screen (e.g. TV, PC, 3G mobiles), to the collective sphere of the urban scenario; the synthesis of information and living functions is driven by Lightarchitecture's Mediabuilding, one of the most significant application of Lightarchitecture itself. This last one is the structure of interaction and communication at urban scale: its multimedia interfaces host institutional and cultural information, advertisements, internet, games, film trailers, mms, and so on. The citizen interacts within and with the urban context this being a step forward in the democratisation, in the process of getting the public spaces public properties, the same attempts pursued by tags and graffiti on city walls. Then, in its range of guises, Lightarchitecture is a key element for changing and improving urban living parameters according to its key elements of light/lightness, information and movement. Today architecture and information technology go beyond the Electronic Gothic of Virilio's illuminating macro-object directly faces the issue of urban setting. We are now living in a Information Era, in a new interactive urban technology: the real and the virtual can now be combined to give a new mass media illusionism at a urban and human scale. These days, on one hand technologies have taken the upper end and, on the other hand a need has risen to return to the natural state. In fact, we almost don't move anymore, we live in a stage of constant immobility as the great flows of information is reaching us. Everywhere and at anytime by internet and wireless technologies, distances are reduced. The technological progress has changed our societies, cultures and towns as well; Architecture must evolve fast and can no longer ignore these changes; it must exploit them to its own advantages. For some time now, we have been effectively witnessing a slow petrification of architecture. Architecture becomes heavier and heavier, more and more static, and continually older, as if we were not able to detach ourselves from that original idea of immortality. This has always obsessed us, the desire to make ourselves immortal through stone. In the past, holiness and immortality of architecture had been pursued, causing this petrification; in order to make monument to themselves, architects created ungainly buildings. On the contrary, according to Lightarchitecture, lightness has to be pursued by any mean and solution, in each process and situation: light structures and materials (physically and aesthetically), projects and ideas (meaning temporary implementation and high speed project fulfilment). To better understand the source of this new idea of architecture, three main elements have to be taken into consideration: the automobile, electricity and advertising. The automobile, by changing perception of static and dynamic, transformed the image of architecture from two-dimensional to 3D and converted it into a rapid architecture movement. Electricity has changed the genetic code of architecture from dark to luminous, lengthening the daily cycle in towns, where different streams and target people now live 24hrs a day, in a constant change from day to night. Advertising has further modified the image of architecture and the cityscapes (e.g. Times Square or Piccadilly Circus, just to make few examples …). These three aspects have a great importance regarding architectural culture and are part of the new vision of an architecture that is first of all dynamic and in movement as the automobile; in second place, an architecture that, mimetically integrated into the urban space, as cities by light, is transformed from day to night, from sober and elegant by day to seductive, magic and playful by night; in third place, an architecture that gives order to the chaos of information, creating significant points of reference. Through modern technologies Lightarchitecture is about acting upon contemporary reality, no longer simply on construction but also reviving and improving the urban environment. This architecture has to transform the city: building rapidly, intelligently, expressing creativity by young people, as we should not wait for ideas to get old. Projects must be conceived, even in a detached manner, as artistic creations that transfigure a space… Architecture may also be temporary, with a limited and predetermined lifetime, but perfectly placed in its age. Lightarchitecture intend to work on the "stereoscopic" integration of real and virtual on an urban scale, and this means a new dimension of architecture inside the city. The global village happens in the city, actually: going from the individual and private sphere (computer, television, etc.) to the collective sphere of the urban scene, from the global village to the "g-local village". This new relationship between citizens and reality using a stereoscopic perspective has been made possible by utilizing every new technology available, including experimental techniques used in films for special effects. Architects, as modern Perseus, armed by the lightest supports, have to act as blades cutting our society into various aspects (cinema, fashion, advertising, culture). "In the virtual reality, it is as if things have swallowed their own mirror … have become transparent to themselves". So far transparency is the most important trend developed in the 80s' influencing up to nowadays, and the main way for architecture to innovate. The adjective "light" has taken on more and more importance over the last few years in the cultural and market fields and in architecture has almost coincided with the new trends of transparency. One risk is that transparency generates high-tech architecture to hide lacking of original ideas, as it generally occurs when there is not any authentic relationship between form and function, when all reference parameters are lost: the shell being empty and meaningless; spatial hierarchies disappear; the parameter of the genius loci changes completely, the specific role of a building. Along the dictatorship of transparency, seduced by high-tech systems, the facade, the skin, the facade, the skin, becomes much more important than the container itself. On the contrary, Lightarchitecture moving screens and trans-apparent surfaces radically transform urban architecture into a daily événement of constant change and evolution. Along the dictatorship of transparency, seduced by high-tech systems, the facade, becomes much more important. In Lightarchitecture the relationship between shape and function is established not only by the quality of the shell, but above all by the overlaid skins, in the container that through a sequence of transparent textures defines the content of the architectonic object. As said before, the Media Building is a tool of communication and interaction, the privilege place where, through interactive external walls, information is communicated and exchanged with the citizens… If thinking, as Heidegger said, is as so important in architecture, as building and inhabiting, then information is becoming more and more important, is becoming the soul of the new quality of living. Hence, the Mediabuilding, through the use of interactive multimedia facades, is introduced as a new architectural structure in which the function of information prevails over that of living. From the beginning architects have shaped mass, just as they have utilized energy; information on the other hand has still not been really used. If we consider a cathedral, this worked as mean of as tool of mass communication. During the Middle Ages, information was transmitted through its stained glass windows, sculptures, tapestries, and mosaics. But this information was fixed, static, constant "petrified". Today, on the other hand architects must convert themselves to the third dimension of active and interactive information.